The World Cups of 2007 and 2011 were the tournaments which provided some outstanding Irish performances, and one can safely say that they will do even better come the 2015 edition in the Antipodes. Ireland became the first Associate to qualify for the World Cup when they tied an ODI with the Netherlands in July. Not surprisingly, they went on to win the ICC World Cricket League 2011-13 with a tally of 24 points and a 11-1 win/loss record. Ireland have been placed in Group B for the 2015 World Cup, along with India, Pakistan, South Africa, West Indies, Zimbabwe and an undecided Associate. On current form, dreams of clinching a quarterfinal berth do not seem too far-fetched. I expect them to beat at least one of the four powerhouses in their group. After failing to reach the final of the 2009-10 ICC Intercontinental Cup, Ireland won their fourth title in style by defeating holders Afghanistan by 122 runs in the final of the 2011-13 edition played in Dubai in December. After ending the league phase as table-toppers with 116 points (5 wins and 2 draws from 7 matches), Ireland were given a tough time by the Afghans in the final of the premier Associate first-class competition. But the sheer spirit of the Irish won them crucial moments in the game. The game was a true ‘test’ in everything but name. John Mooney, with a career-best ten wickets, was the star of the final, while Ed Joyce, Niall O’Brien, George Dockrell and John Anderson also played key parts. It was a fitting farewell for Trent Johnston, who played his last match for Ireland. With this, Ireland completed a historic treble of ICC titles in 2013, following their WCL and T20 Qualifiers wins. In November, courtesy some stellar big-hitting by Paul Stirling and Trent Johnston (in his last international game) Ireland thumped Afghanistan by 68 runs in the high-scoring final of the ICC World Twenty20 Qualifiers at Abu Dhabi, thereby retaining the title they had won in 2012. Ireland managed to qualify for the 2014 World Twenty20 in Bangladesh much before the final, by virtue of topping their group. In the semi-finals, the boys in green brushed aside hosts UAE by 62 runs. Moreover, they were the only team out of sixteen who managed to stay unbeaten throughout the tournament, a rare feat in this fickle format. Unfortunately, in spite of this magnificent victory, Ireland do not yet qualify for the tournament ‘proper’. In order to do that, they first need to top a group consisting of Zimbabwe, UAE and the Netherlands besides themselves to win a berth alongside England, New Zealand, South Africa and Sri Lanka. Typical ICC. Ireland took a big step in their quest of becoming a Test nation when in May, they introduced a three-team domestic tournament for all three formats (three-day, 50-overs and 20-overs). Leinster Lightning, Northern Knights and North West Warriors were the three teams in the fray. In all the three competitions, each team got to play four games – twice against each other – in a league phase to decide the winners. The star-studded Lightning were the most dominant in the three-day format and won it with ease, and also won the T20 format. However, their clean sweep was averted by the Knights, who won the 50-overs competition in a tense last round. In its first season, the Inter-pros threw up some serious talent, with the likes of Eddie Richardson, James Shannon and Stuart Thompson getting international call-ups as well. 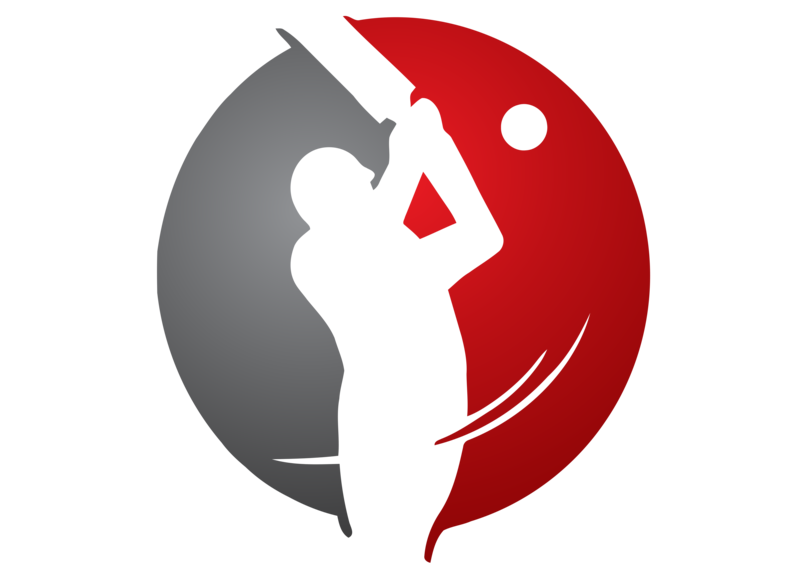 The three-day tournament should be able to achieve first-class status within a couple of years. Ireland Women underlined their progress by qualifying for the 2014 ICC Women’s World Twenty20 in Bangladesh. This will be their first appearance in the world event, and they have been placed in Group A along with defending champions Australia, heavyweights New Zealand, Pakistan and South Africa. Needing to be in the top three in the eight-team qualifying tournament held in Ireland in July (Pakistan and Sri Lanka being the top two teams), the women managed to qualify by the skin of their teeth after edging out the Netherlands by just 2 runs in a nerve-wracking third-place playoff at Dublin. The notable performers were opener Clare Shillington, right-arm bowler Kim Garth and skipper Isobel Joyce. Ireland came agonisingly close to winning their first ever ODI series win over a Test nation before eventually losing a closely-fought two-match series 1-0 to Pakistan in May. Both the games were played at Clontarf in Dublin. In the first game, Ireland were set a challenging revised target of 276 in 47 overs after Pakistan posted 266/5 in 47 overs. Paul Stirling made an excellent 103 – his second successive ODI ton against Pakistan – while Kevin O’Brien unleashed an array of fours and sixes in his 47-ball unbeaten 84 as Ireland tied the contest off the last ball. Needing 5 off the final ball, O’Brien clouted the wily Saeed Ajmal for four to bring up the tie. In the second game, Ireland had themselves to blame to squander a winning position. After Ed Joyce’s 116 had guided the hosts to 229/9, the Irish pacemen reduced Pakistan to 17/4, which then became 133/7. The inexperience of Ireland however allowed Kamran Akmal and Wahab Riaz to add 93 for the 8th wicket, culminating in a heart-breaking 2-wicket defeat with 8 balls left. On 3rd September, the match touted be the ‘biggest game of cricket on Irish soil’ took place. 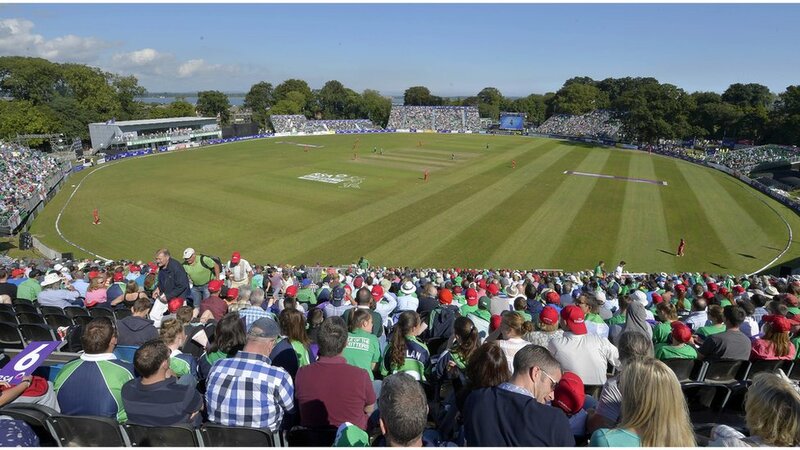 Ireland’s amazing progress in the game was highlighted by the presence of 10,000 supporters who thronged the new ‘The Village’ ground at Malahide in Dublin to witness England take on the hosts in their biennial RSA Challenge fixture. Fortunately, the day was blessed by sunshine and a full game was possible. Unfortunately, Ireland were denied a memorable victory because of the performances of two of their own countrymen, which seemed so wrong and unfair. Irish captain William Porterfield first struck a masterly 112 to help his team to 269/7 after being put in by England’s Irishman captain Eoin Morgan. Boyd Rankin, another Irishman, took 4/46. In reply, Tim Murtagh and Trent Johnston rattled the English top-order to have them reeling at 48/4, but Morgan and Ravi Bopara struck unbeaten hundreds in a galloping stand of 226* to help England win by 6 wickets. Ireland’s fans had reason to feel proud, but also to feel betrayed. 2013 saw the retirement of Ireland’s evergreen legend Trent Johnston, who announced in July that he would quit the game in December. The 39 year-old former Irish captain’s last international match was the World T20 Qualifiers final and he made it memorable by first making 62 off 32 balls and then taking 3/34 to guide his side to an easy win and also earn himself the Man of the Match award. His last overall game wearing the Shamrock was the Intercontinental Cup final, and his team gave him an apt swansong by lifting the trophy and securing the coveted treble of ICC trophies. Since 2004, the all-rounder played 198 times in all cricket for Ireland. In 67 ODI’s, he scored 743 runs and took 66 wickets. In 30 T20I’s, he scored 249 runs and took 32 wickets. In 33 first-class matches, he scored 703 runs and took 103 wickets. He was the captain during Ireland’s 2007 world Cup campaign, which paved the way for future successes for the team. A true team man till the very end, Johnston’s commitment and dedication can be a lesson to all aspiring Irish cricketers. Ireland will return to Sabina Park in Kingston – the place of their famous win over Pakistan in 2007 – in February to face the West Indies in a one-off ODI and two T20 internationals. The team will also play in the regional 50-overs competition in the Caribbean.The Ireland ‘A’ side will tour Sri Lanka in January to play with local sides. March will see the 2014 World Twenty20 in Bangladesh, and Ireland’s do-or-die game against Zimbabwe in order to get into the second round is fittingly on St. Patrick’s Day, i.e 17th March. Ireland Women will be playing their first World T20 at around the same time. It is high time Ireland get to play more fixtures in the ODI format against top teams. With the 2015 World Cup getting closer, experience and exposure is the need of the hour. 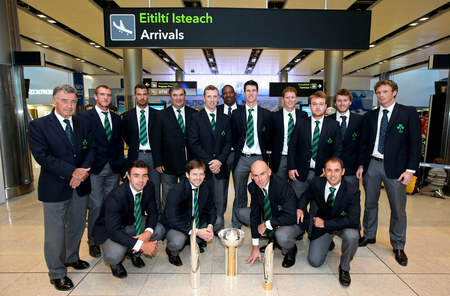 Hopefully, Ireland will host a few full-members in the coming home season. No longer can the team survive on playing only Associates and a few sporadic fixtures here and there against full members. Sometimes it seems as if the ‘established’ nations are apprehensive of losing to Ireland, and thereby avoid playing them. It is time to seriously include Ireland into the international calendar. Three cheers to Ireland for completing a fantastic year!